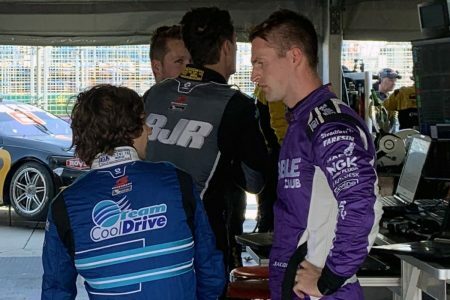 Garry Jacobson was left with ‘nowhere to go’ in his clash with Macauley Jones which left the BJR Commodore a retirement from the final Supercars race of the weekend in Melbourne. The pair had been engaged in a three-way scrap for 19th with Simona De Silvestro before tangling coming out of Turn 13. 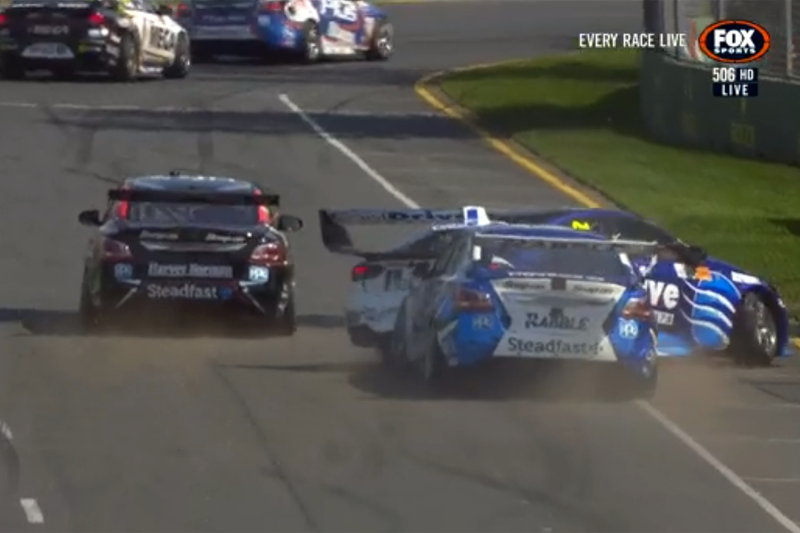 Jones’ car was fired into the wall on driver’s right after he pulled right to get around De Silvestro and effectively wiping across the front of Jacobson. “I felt like I was up on the inside of him,” Jacobson told Speedcafe.com. “I’ll have to have another look, I think he was getting turned in on by Simona. Jones emerged from the shunt uninjured, though the front of the Commodore sustained damage to the rails and radiator, along with the rear wing which caught on the fence as the car whipped around on impact. According to Jones, a mistake from De Silvestro offered him the opportunity to pass out of Turn 13, where he was then pushed across the track by the Nissan driver. “I sort of battling between the two Nissans there and Simona made a mistake at Turn 12 and coming out of 13 I was sort of start to go up the inside and she was sort of squeezing me to the inside of the track,” he told Speedcafe.com. Though he’d not seen the replay, Jones’ immediate reaction was that Jacobson had not left him sufficient room as the two cars converged on the same piece of race track. Following the race, Jacobson visited Jones in the BJR bunker, the pair having a brief conversation ahead of the matter being reviewed further by the stewards. “There was a bit of an apology and he was just checking that I was alright really,” Jones said. “He hadn’t seen the footage either, so he wanted to look at that. The crash left Jones a retirement from the race while Jacobson crossed the line 19th, which became 18th following a post-race time penalty for Shane van Gisbergen.